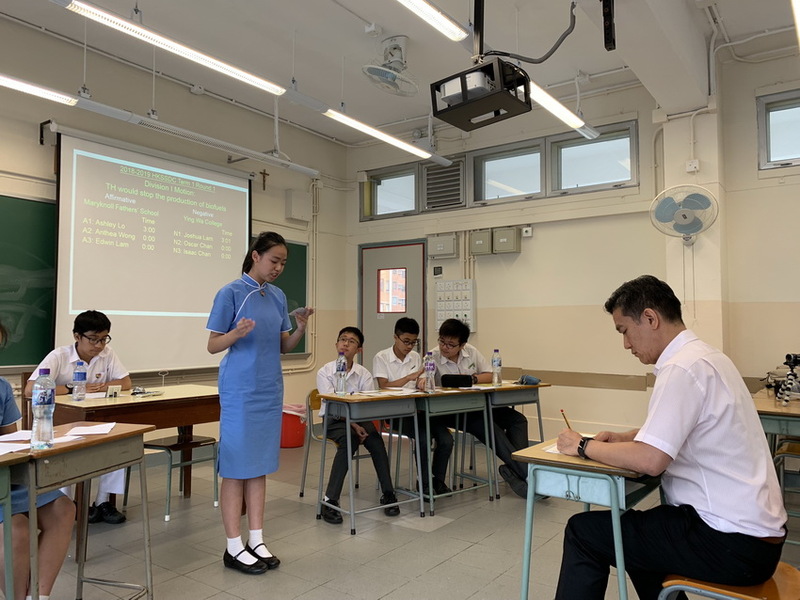 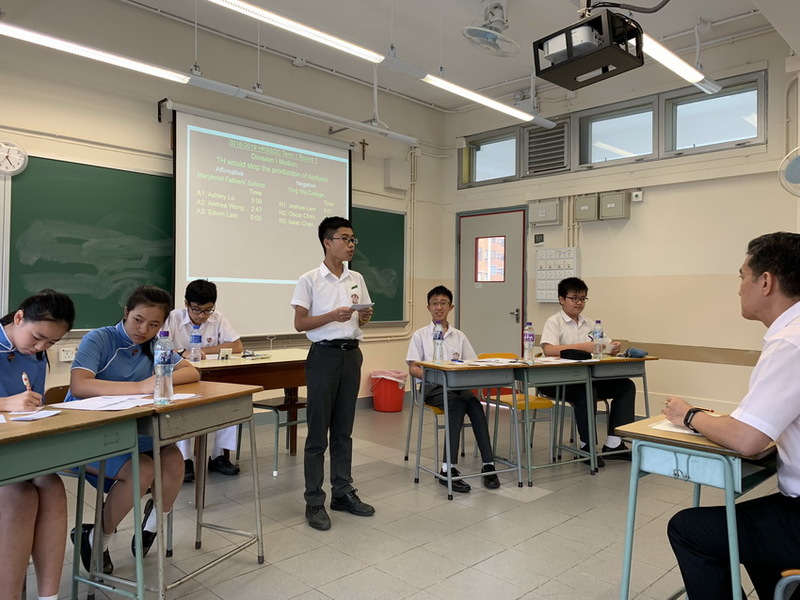 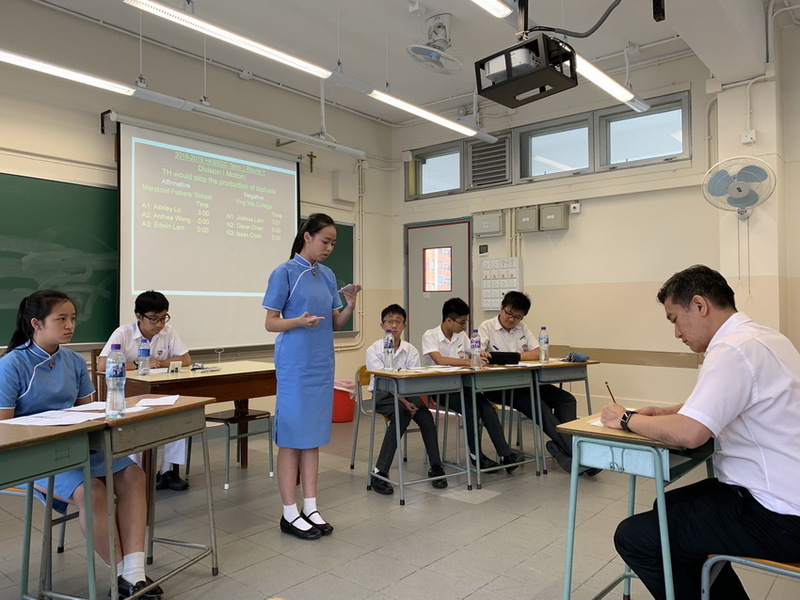 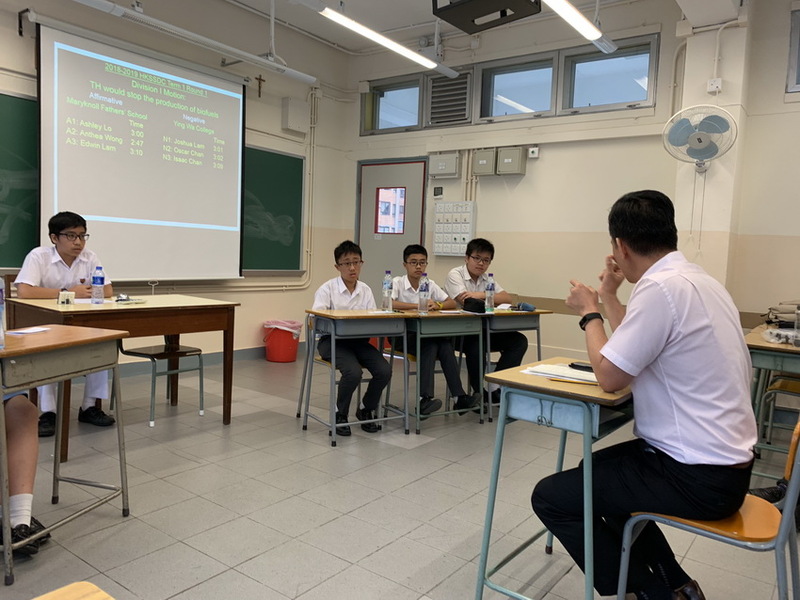 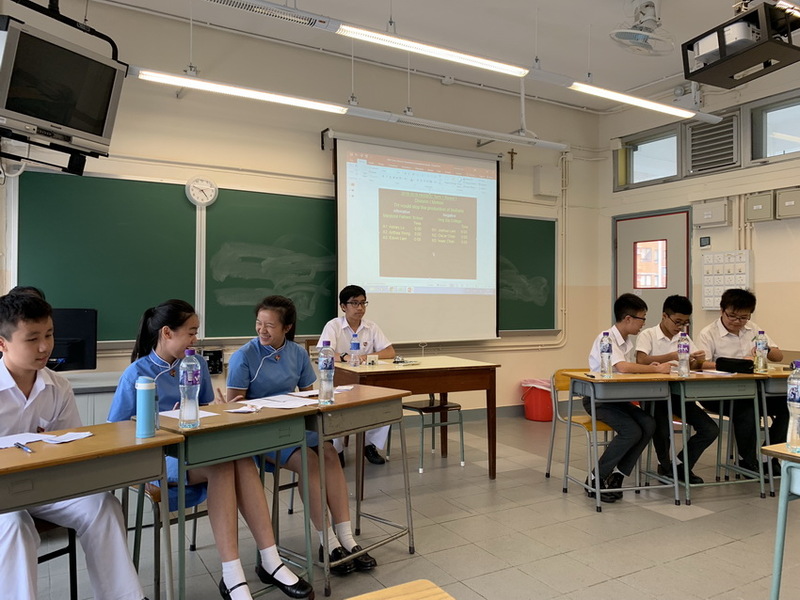 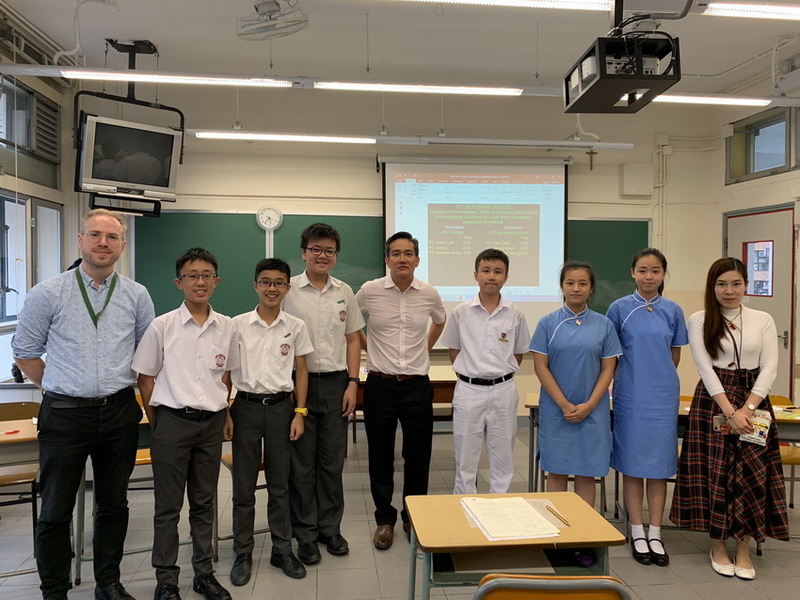 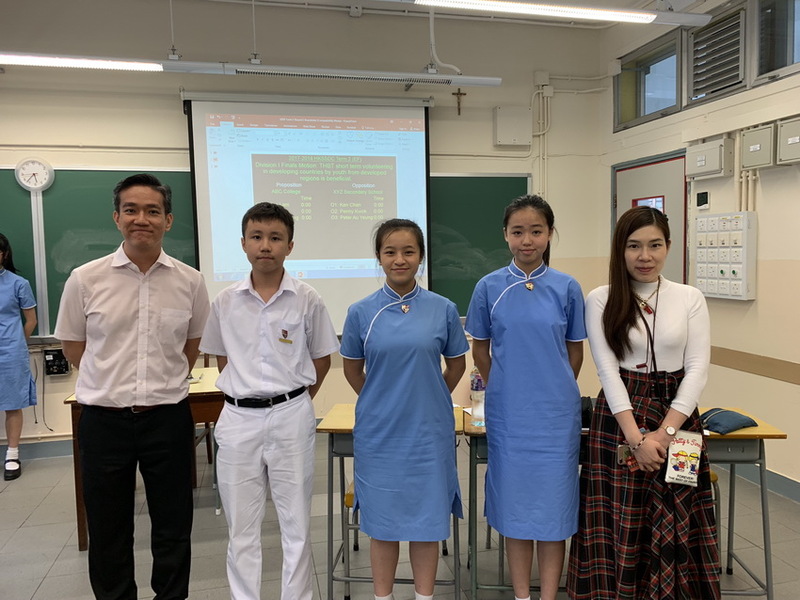 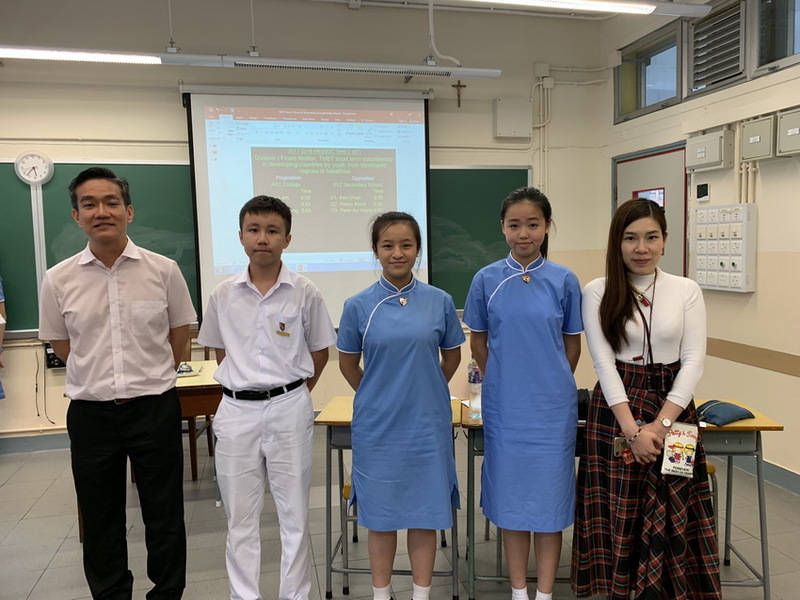 The first round of Debate Competition (Division I) was held at Maryknoll Fathers’ School. 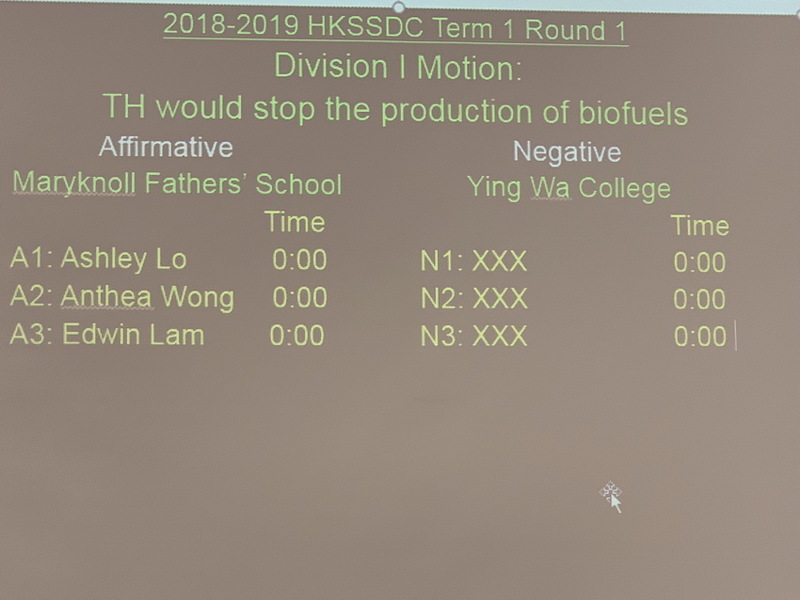 Our school was the affirmative side arguing for the motion “TH would stop the production of biofuels”. 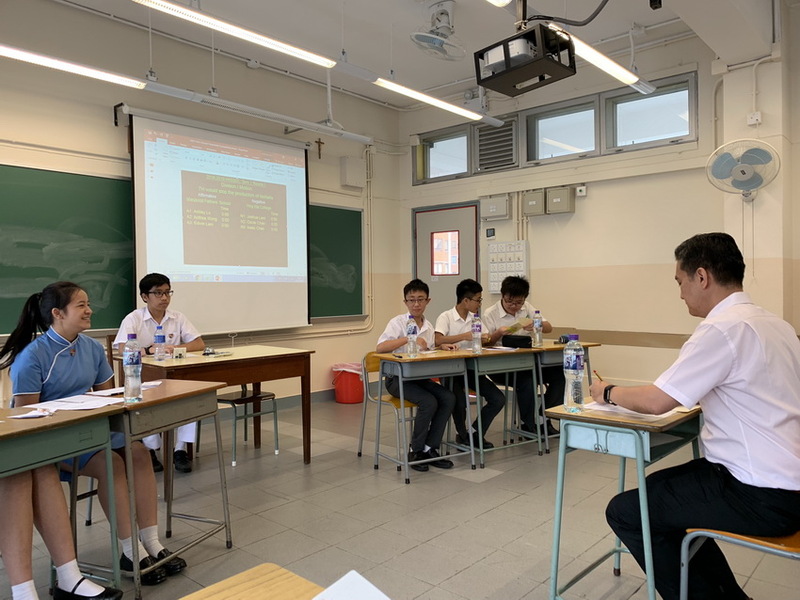 Ying Wa College argued against us as the negative side. After several rounds of heated debates, 3A Ashley Lo won the Best Speaker in the competition. 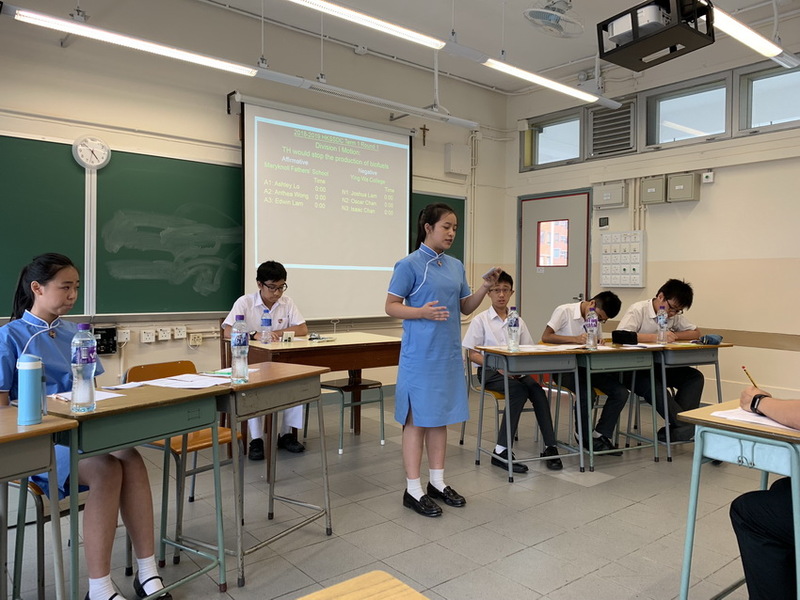 It was great experience for both teams as they learnt a lot of debating skills from the adjudicator.